How to retrieve photos from iPhone which has a non-working broken screen? Is there any way to recover photos from iPhone which has a non-working broken screen? Definitely yes, here’s the solution to retrieve photos from iPhone which has an unresponsive broken screen. I'm trying to recover my photos from my old iPhone which has a non-working broken screen. When I connect it to my computer it tells me to say I trust this computer through my iPhone, which I am unable to do because of the screen being broken, I am not allowed to unlock it or select anything. Any ideas on how to get my photos back? Undoubtedly, it is bad enough that you have cracked the iPhone screen and you might unable to access the phone any more. What's worse, you could lose precious photos, phone numbers, documents or other data inside the phone because the touch screen stops working. Then, how to retrieve photos from iPhone which has an unresponsive broken screen? Actually, if this sounds like your predicament, iFonebox is absolutely can help you. 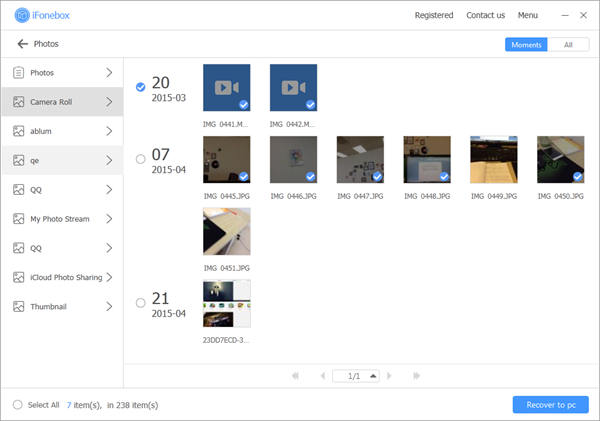 As an irreplaceable iOS data recovery software, iFonebox is excellent in getting as many sixteen kinds of data loss in various scenarios. As a result, it is certainly the ultimate solution to recover photos from iPhone which has a non-working broken screen. Update failure and stuck on Apple logo interface. Screen unresponsive by liquid or external force. iOS system bankrupt and have to factory reset. All above-mentioned situations indicate that you have to recover your missing data from an available backup. 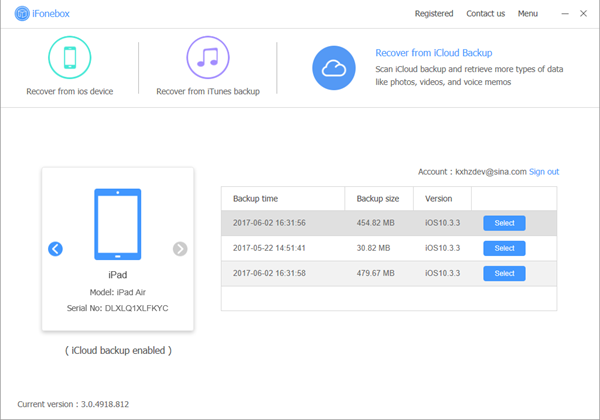 If you have synced your device to iTunes or iCloud before, then you’re certainly able to retrieve only photos from iPhone which has an unresponsive broken screen. Because iFonebox is superior in detecting right through your backup and extracting the data you desired separately. In addition to restore photos from iPhone which has a non-working cracked screen, iFonebox is also an amazing transferring tool for iOS device. Assume that you’re going to resell your iPad, and you’re desired to save only images before resetting your iPhone to the original factory settings, you can make it possible conveniently with the help of iFonebox. 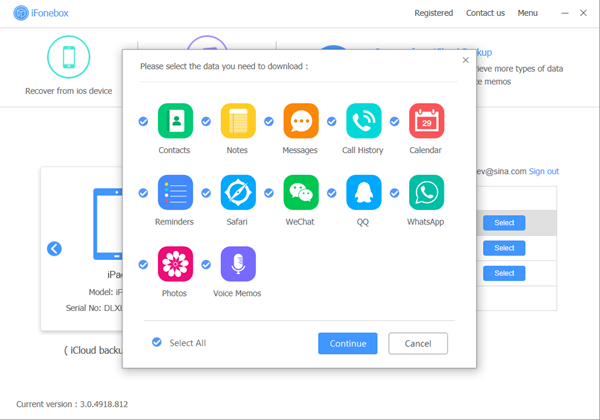 You’re able to access this advanced application from official website or click the icons here, just make sure to install the right version for your computer. 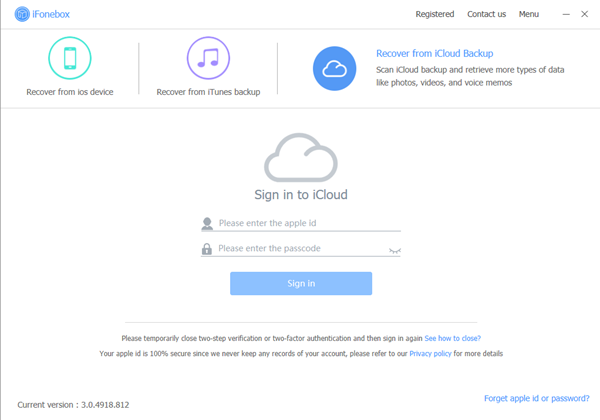 Next, I will show you how to recover your photos from iCloud backup.